We all know how much pets love snacks. If you want to make an animal happy, simply give it something delicious to eat. Pets can also do some seriously cute things with their food, or for their food. Some people even train them to do awesome tricks for a bite to eat. This list of cute things animals do for food will make you smile, laugh, say “aw”, and probably want to give a pet you love a yummy treat or two. Prairie dogs in the wild are one of mother nature’s cutest animals. They are wiley, furry, and do this cute squeaking noise to actually talk to other prairie dogs in one of the most elaborate communication methods in the animal kingdom. They live in holes and in communities called “prairie dog towns.” Cousins of the squirrels, prairie dogs live in families called coteries. Not one of the most common pet, this redditor still has a prairie dog to call his own. He even has a cute red outfit, which distinguishes him from other prairie dogs. 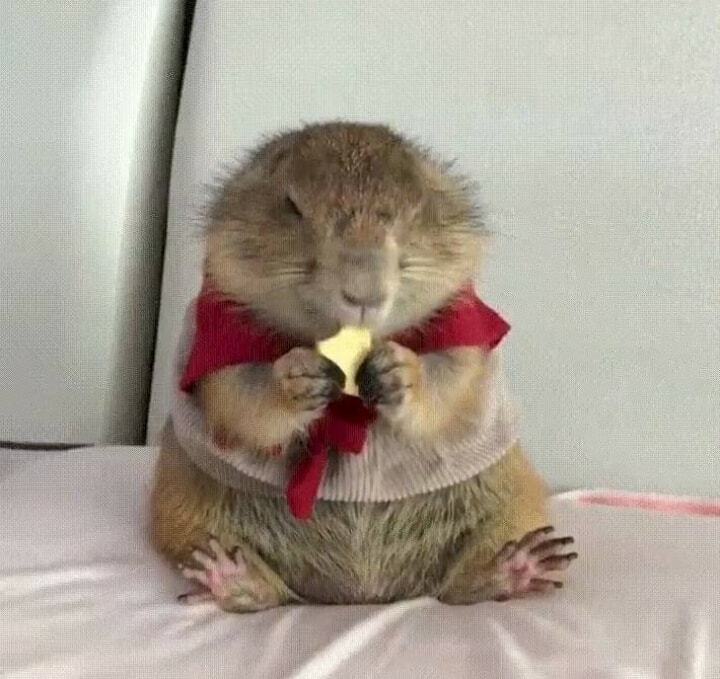 This prairie dog’s favorite snack is cheese. Just look at his little feet! Did you know that cats have exactly 517 muscles? This gives them incredible flexibility. Maybe that’s one reason why American pet owners love cats so much… almost 10 million more cats are kept as pets than dogs. Wow! Our feline friend in this picture sat himself in the right spot to chow down. His posture is pretty comical, and not something that you typically see everyday. 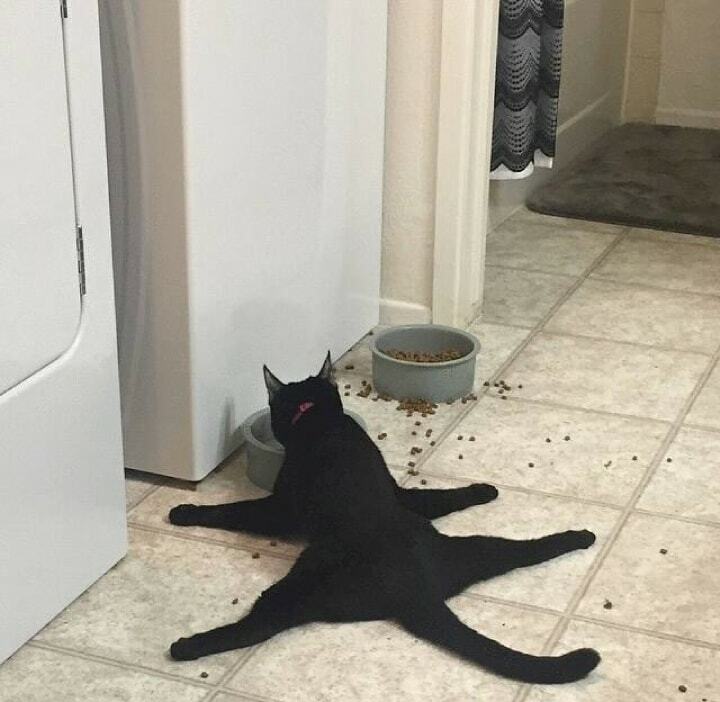 You don’t normally see a cat’s legs bend in that direction, but he doesn’t seem to mind at all. LOL. Not a bad look for this furry friend. He seems just as surprised as you are that his snack left a little mustache on his face. 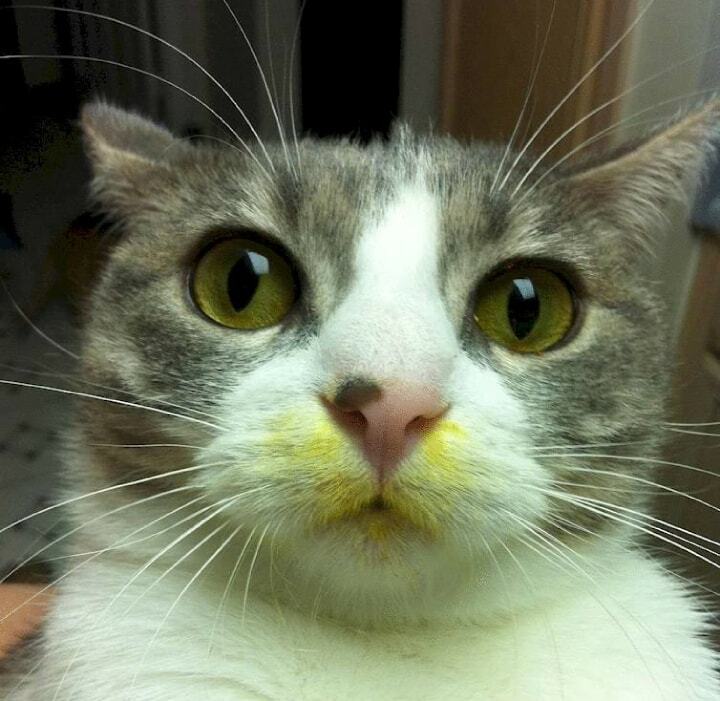 He had a walk through the garden and ate flowers, and now there is pollen left over on his face. It will probably wash off, but in the meantime this cute critter has a funny story to tell. In the wild, raccoons are known to wash off their food before eating it. I wonder if he helped rinse off the berries before his afternoon brunch. 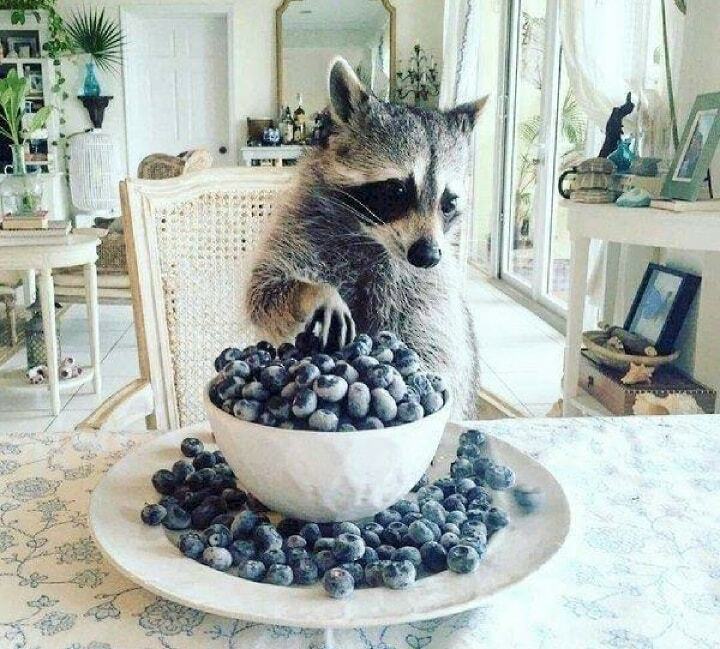 It’s surprising to see a raccoon not going through the garbage or in the wild, and it looks like his paws are perfect for eating blueberries. There’s nothing quite like a pup’s determination when it comes to getting some of their favorite treats. 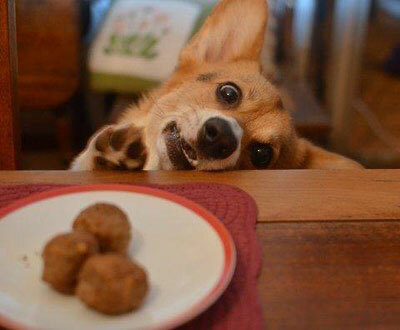 This adorable Corgi has his eyes on the prize. Whether it’s your dinner or some of their dog biscuits, dogs always find a way to get something to munch on. With those big eyes and fluffy, pointy ears, who can say no to that face? Better take a picture first to show the world how cute your dog is first.